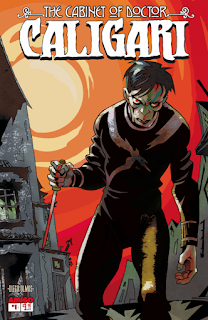 The Fellowship was fortunate enough to obtain a copy of THE CABINET OF DOCTOR CALIGARI #1 from Amigo Comics. Diego Olmos writes and draws, and Malaka Studio letters. A carnival has arrived in the town of Holstenwall, and with it an odd attraction – a sleep-walking man. But when the carnival arrives, so does a string of murders in the quiet little town. Francis and his beloved Jane end up right in the middle of the horror, and no one can foresee how the terror will end. This is the first issue of an adaptation of the classic silent film, and it has a feel that’s very similar to the original. The art style uses a lot of blacks and shadows, which helps create the feel of the darkness descending on the small mountain town. And it captures the expressionist sensibility of the original film with its odd angles and wild facial expressions. Caligari is a visually stunning film, and this adaptation captures those visuals very effectively. And if you haven’t seen the film, this book is a good way to get a sense of what to expect from it. Either way, this is one to check out. 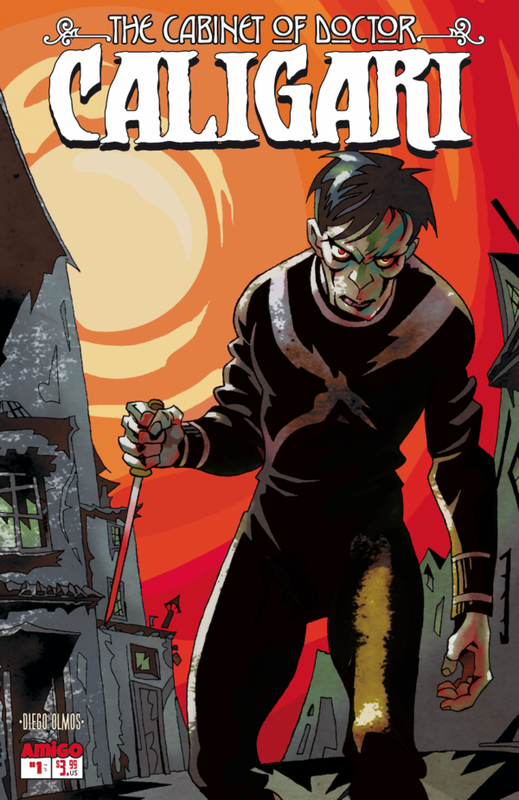 THE CABINET OF DOCTOR CALIGARI #1 is available now from your local comic shop, or online at amigocomics.com.